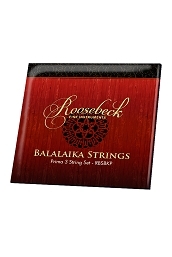 Roosebeck 27 Inch Prima Balalaika 3 String & Nylon Case. 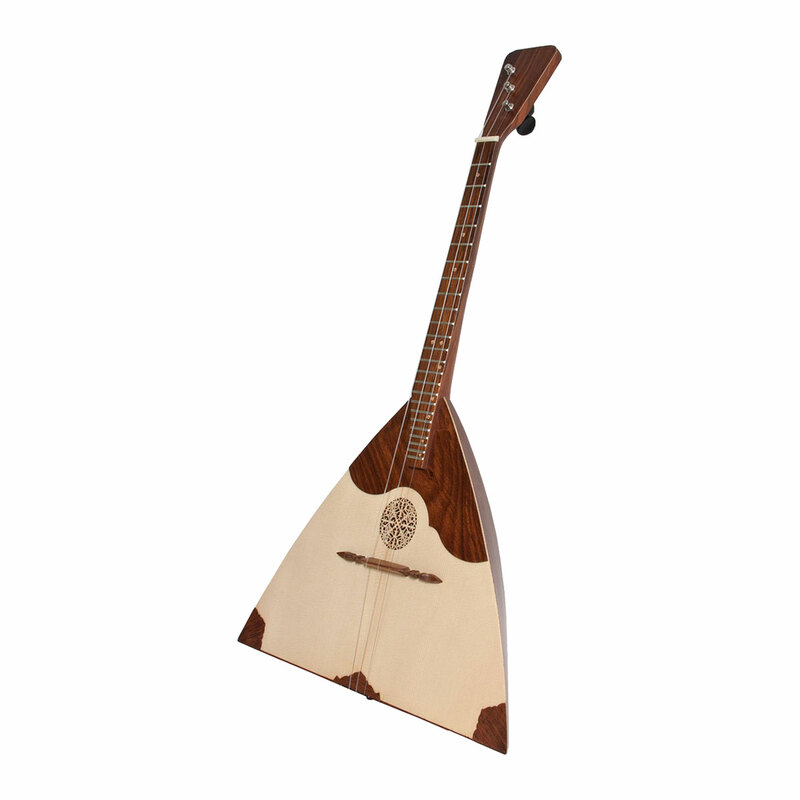 Our Balalaika Prima has the traditional 3 strings and measures approximately 27 inches in length. The scale length is 430 mm. The body has the classical triangular shape. 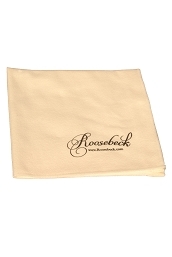 The back is slightly bowed and made with stave construction in two tones of sheesham. The darker back contrasts with the light colored wood of the soundboard. The Balalaika strings are tuned above middle C to: A, E, E 1st-3rd. The 1st string is the thinnest, and lays over more frets than the 2nd and 3rd strings. Use a piano or electronic tuner as a reference for tuning. 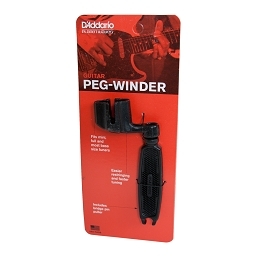 The tension on each tuning peg can be adjusted by tightening or loosing the screw on the top of the peg. To play, the left hand notes the strings while the index finger of the right hand strums high on the soundboard near the neck. The dark sheesham on the soundboard is decorative but also protects the soundboard from the strumming. The Balalaika most likely evolved from the Oriental dombra, which is still played in present-day Kazakhstan. Knowledge of the dombra most likely spread to Russia by Mongol trade and conquest. After undergoing structural changes, the Balalaika was embraced by Russians. It is said that the Balalaika embodies the Russian people's character, with its ability to switch from happiness to sadness with ease. It was common for the peasant ballads, composed for the Balalaika, to irreverently poke fun at the authority of the times. For this reason there were times when the Balalaika was banned by both the Orthodox Church and the State. The instrument enjoyed its greatest folk popularity in the early 18th century. In the later 19th century the instrument underwent a number of changes, including the adoption of the classic triangular shape. Reportedly, in the late 19th century, Vassily Vassilievich Andreyev, was responsible for the transition from a folk instrument to a concert instrument. Andreyev's chamber ensemble, renamed The Great Russian Imperial Balalaika Orchestra, introduced the instrument to cultures outside of Russia. 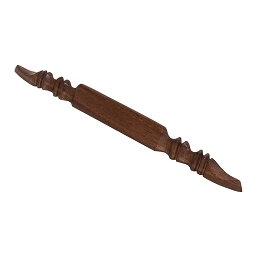 The Instrument was also carried by the common people when they fled Russia at times of war.